Glucosamine, Curcumin, Avocado, AKA “Sugar, Spice and Everything Nice,” right?? Not sure what joint supplements to recommend or use? Not sure how they work, if they work at all? 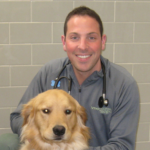 Join VETgirl for a 2-hour online veterinary CE webinar, where Dr. Matthew Brunke, DACVSMR, CCRP, CVPP, CVA, reviews all you need to know about nutraceuticals, including what their technical definition and nomenclature is. In this lecture, Dr. Brunke will review the most common components in joint supplements, how they work, and what's the evidence for them. Learn how to make informed decisions on recommendations for your clients and veterinary patients. How do I register for the webinar if I am already a member? It doesn’t offer me the option. Hi Elise – if you are signed in (as you are an ELITE member), there is a very large, pink, “register here” button. I’m interested in this webinar, but won’t be able to watch it live (due to the time difference between US and Finland). If I subscribe to this webinar, am I able to view it afterwards without being an ELITE member? Hi Heidi! If you’re not a VETgirl ELITE member, you can purchase it ON DEMAND (right side, large pink button) later! If you have any problems, feel free to contact us via the contact us link to email us! Thanks! Is this an “interactive” webinar? Thanks! Yes! 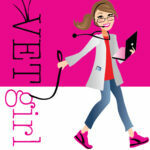 ALL VETgirl webinars are first given LIVE and they are interactive. Following this, the recording is placed in the on-demand library for our members to view/review at any time. Hi Garret- I too am having problems with registering for this webinar. I have verified I am an elite member but can’t find the big pink button that says “Register here”. Please make sure to log in – thanks!